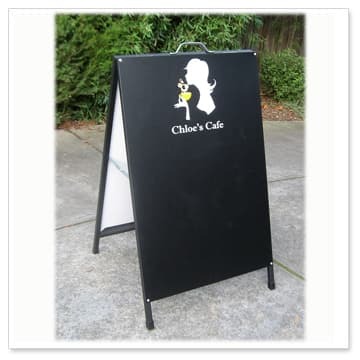 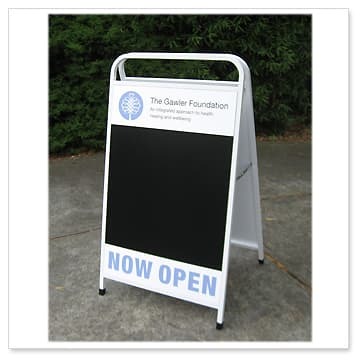 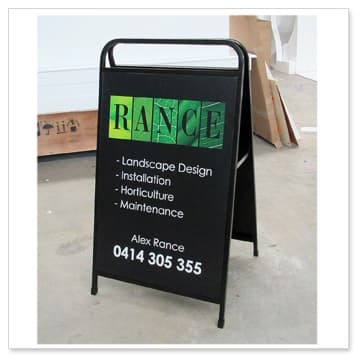 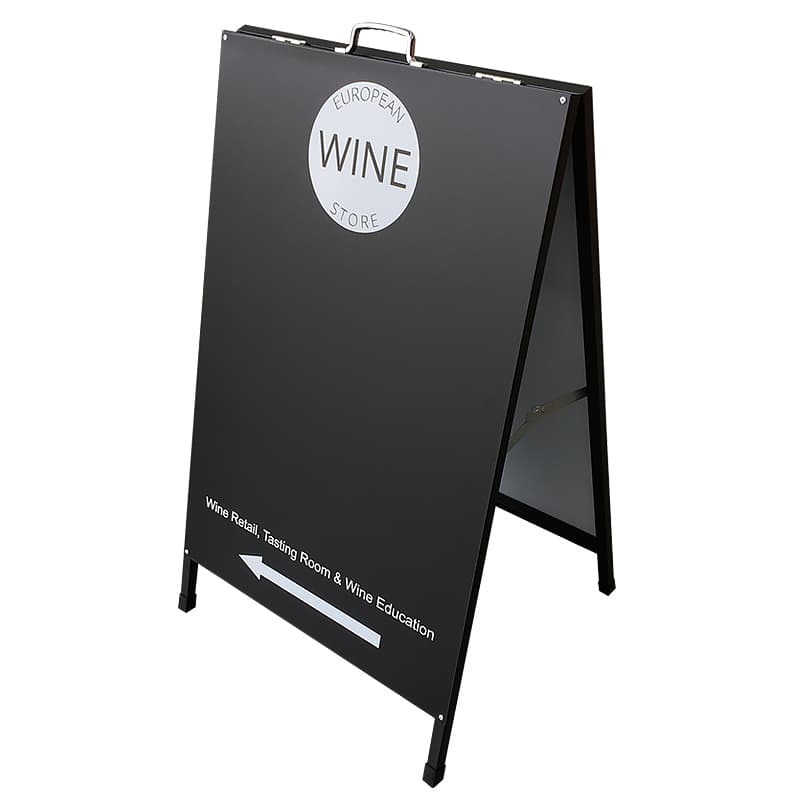 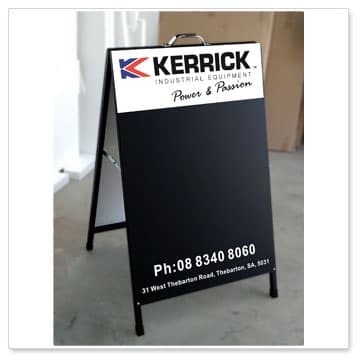 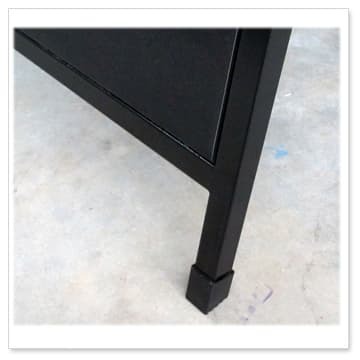 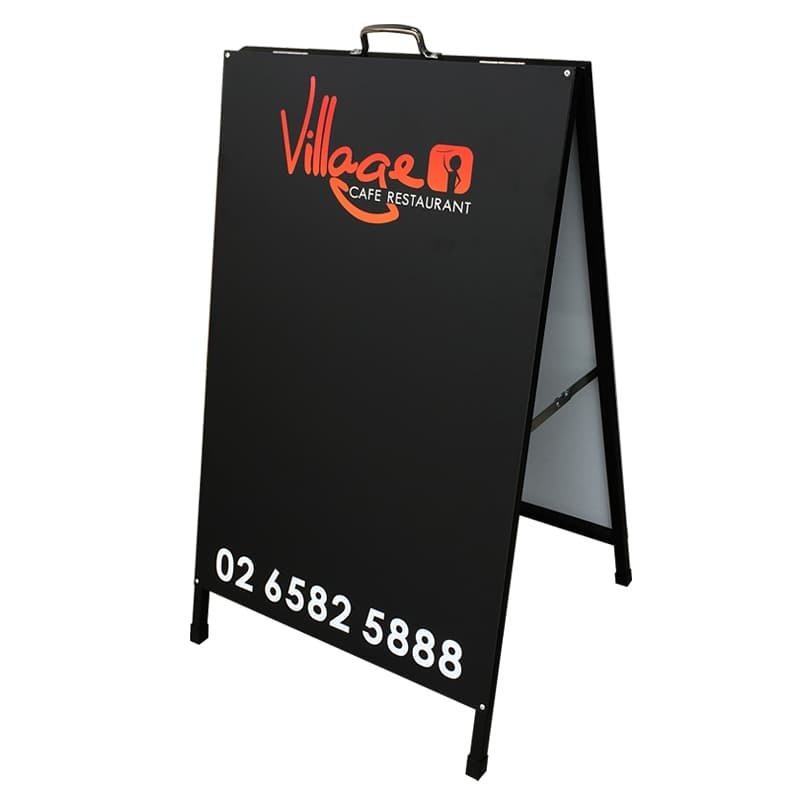 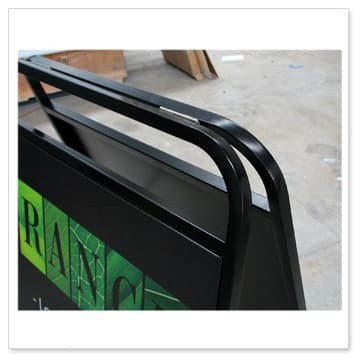 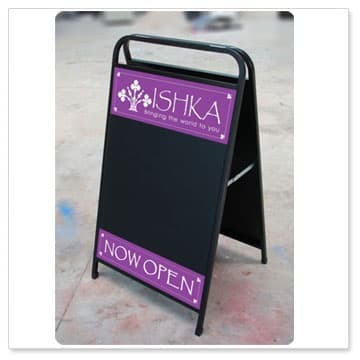 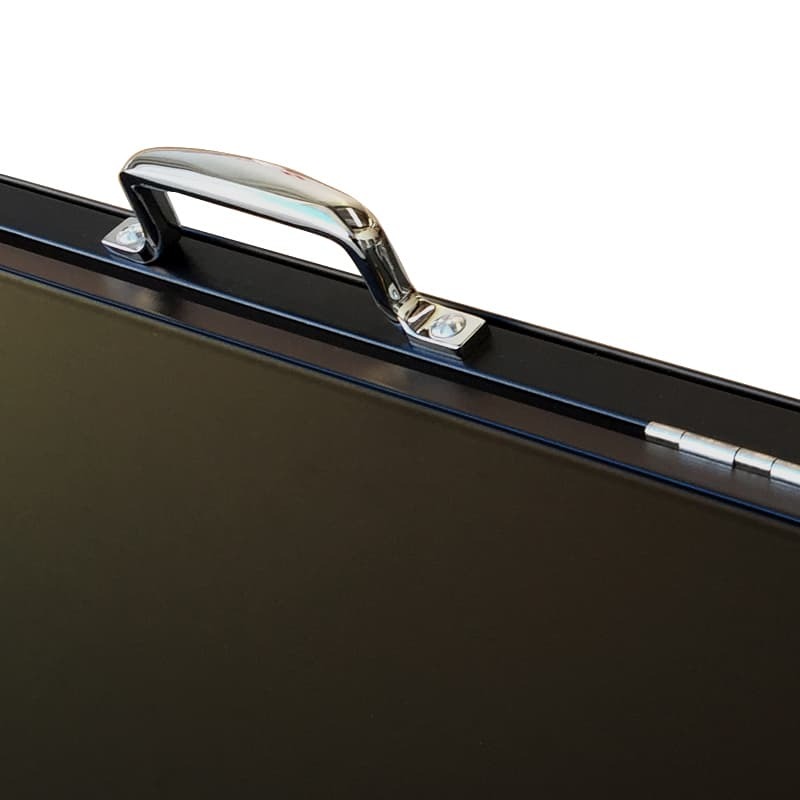 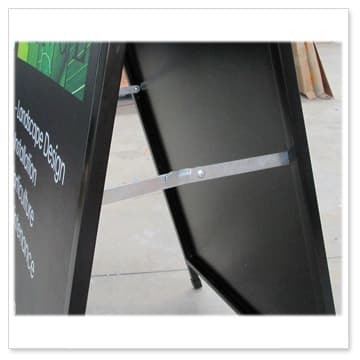 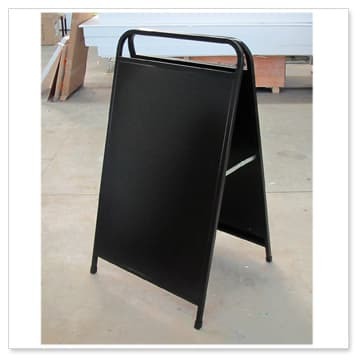 Strong Metal A-Frame,waterproof, very sturdy and popular, designed for outdoor use(Chalk may wash off in rain). 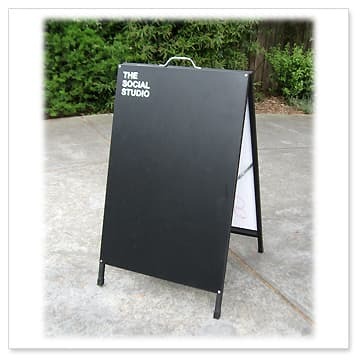 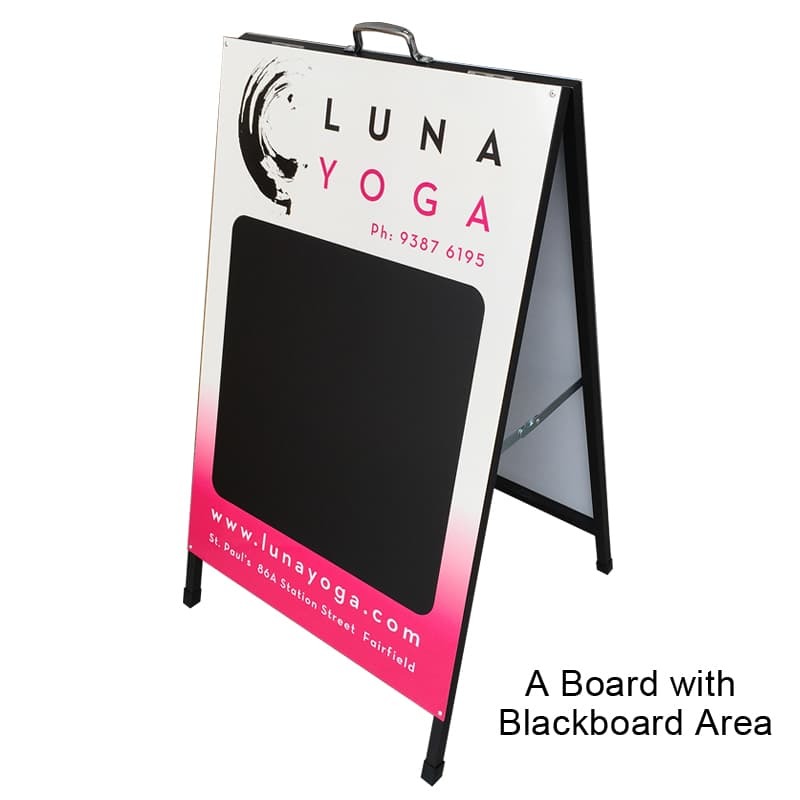 You can have all Blackboard Space or add your logo or graphics on the top and the bottom of the panels! 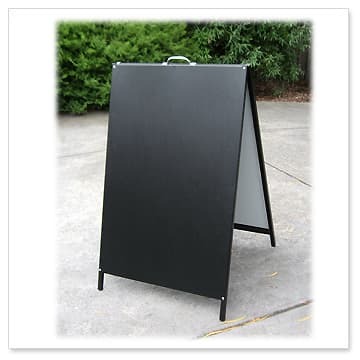 We also have blank blackboad A frame in-stock.